So my once brilliant idea of zip-tieing waterbottles next to the radiator wasnt actually the best of ideas... The passenger seat handle is much better. yea yeah... get a backback.... get a camelback... yadayada... I know. Ill get one soon enough... 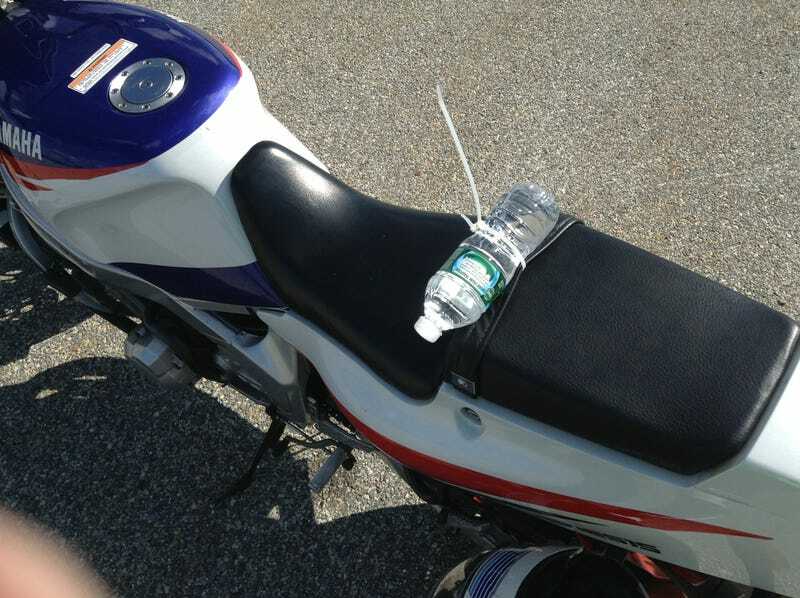 Better yet, ill get more creative and make some sort of water bottle holder/saddle. In all honesty, i dont think i really want to change anything about this machine.